The subscription-based-streaming-service Netflix continues to become a ‘player’ in the battle for anime streaming content as today both Black Lagoon and Tenkai Knights have been added to growing list of on-demand anime content. As part of this recent addition Netflix owners will now be able to enjoy the entire Black Lagoon franchise, which consists of Season 1, The Second Barrage and the OVA Series Roberta’s Blood Trail, as well as a wide-selection of episodes from the children-orientated-anime series Tenkai Knights. 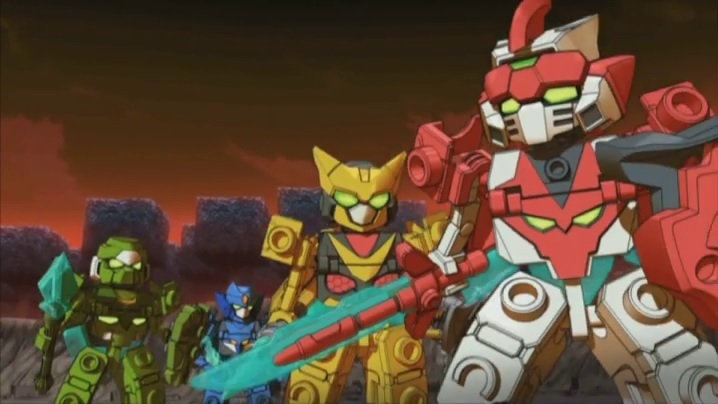 Both titles have been added to the service as part of a new partnership with Viz Media Europe (KAZE) and it further explains why an english subtitled trailer for Tenkai Knights was included on some KAZE releases earlier last year; although whether or not KAZE plan to release Tenkai Knights on DVD in the UK still remains a mystery.